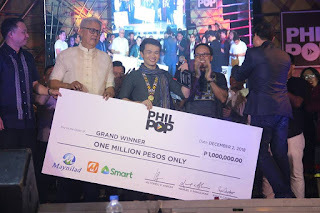 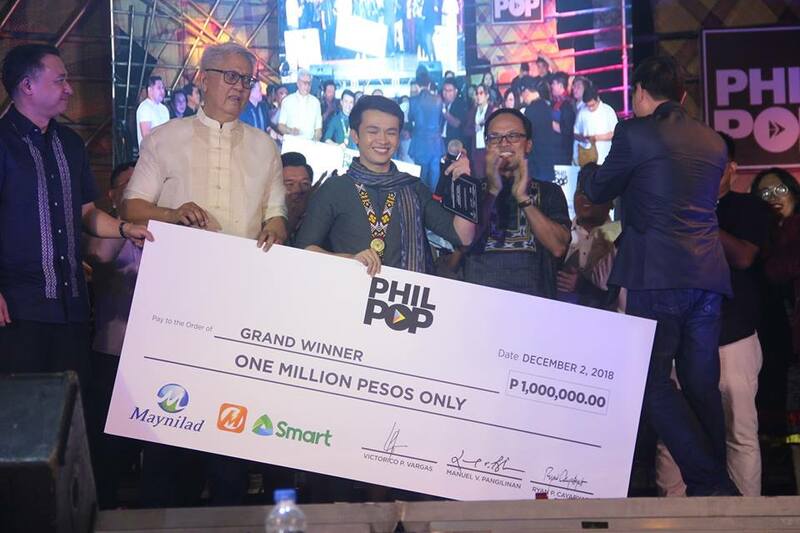 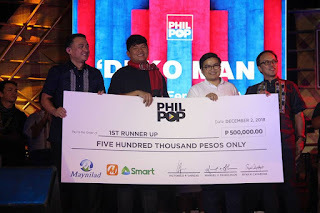 The finals night of this year's Philippine Popular Music Festival (Philpop) was held at the Capitol Commons, Ortigas, Pasig City on Sunday, Dec 2. 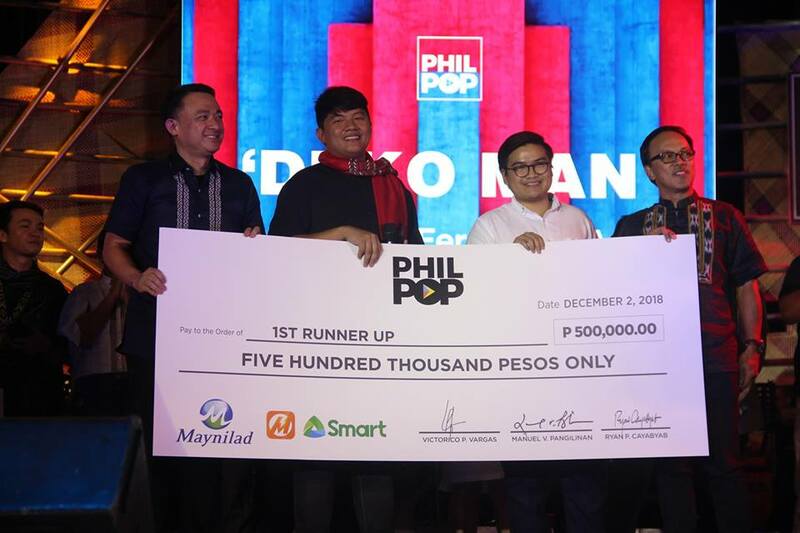 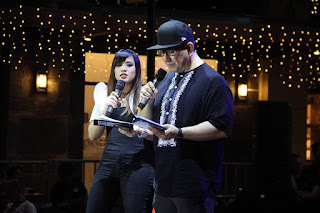 From the 30 semi-finalists in this year's competition, 10 songs were chosen, composed and interpreted by some of the country's top songwriters and musicians. 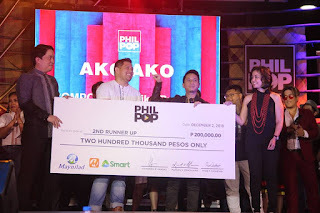 This year, songwriter Chud Festejo's "Nanay Tatay" won the Php 1 Million top prize. 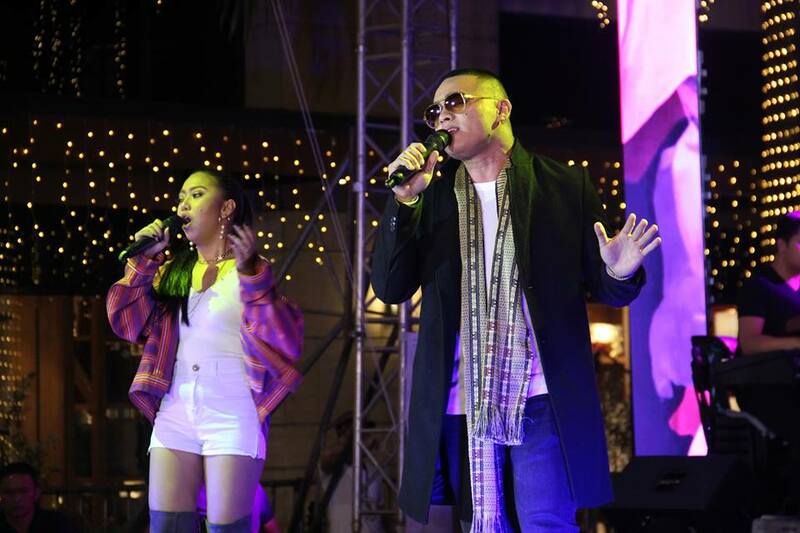 Songwriting duo and real-life sweethearts, Thyro Alfaro and Yumi Lacsamana opens the stage with PhilPop hits medley: “Dati,” “Salbabida,” "Trianggulo," and “Di Na Muli.” VJ Ai and Sir Jungee Marcelo hosted the finals night. We were treated to a feel-good live music from the country's fast-rising folk-pop band, Ben and Ben. 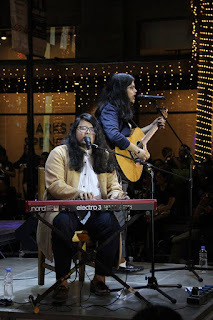 We also witnessed live the TampisAWIT 2018 winning song entitled "Agos" (by Adrian Crisanto) performed by Joanna Crisanto and Bon Jovie.